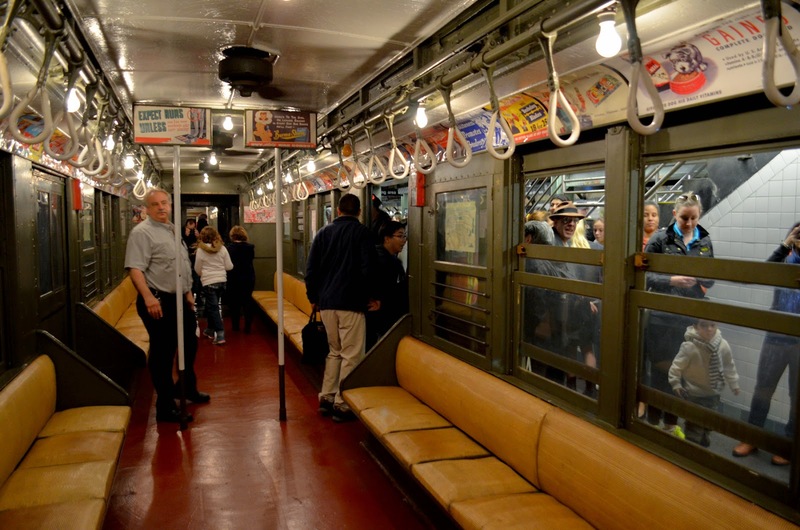 Yesterday was the 110th anniversary of New York City's subway system. 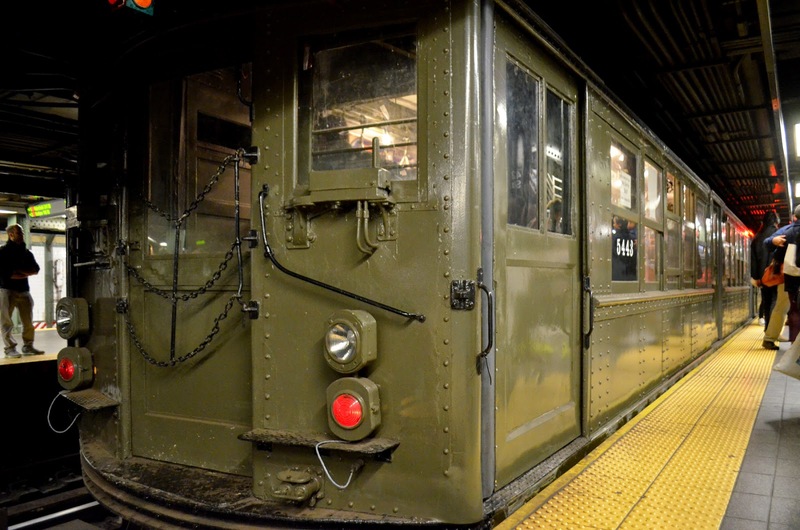 To celebrate, America's largest transportation network, NYC's Metropolitan Transportation Authority ran old out-of-service train cars from Times Square to the 96th Street station on the 2/3 line. 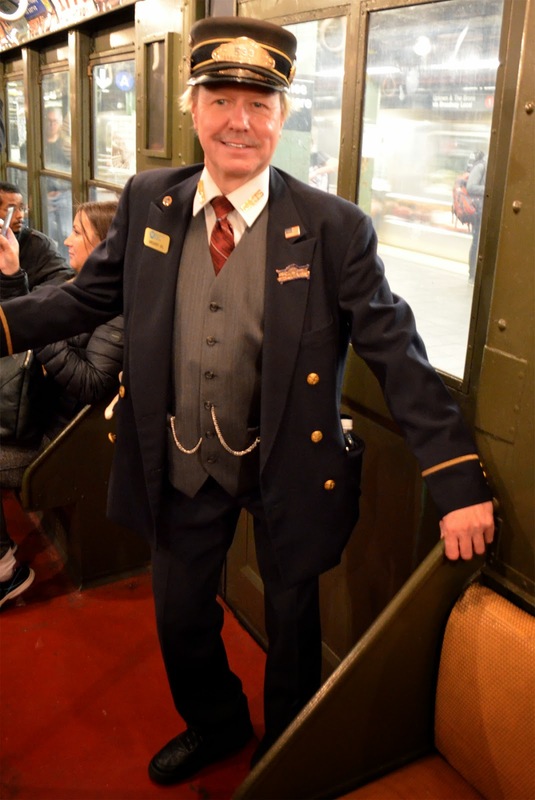 The MTA ran Low-Voltage Trains, which date from 1915 to 1925, and were in service until 1969, as well as the "Train of Many Colors", which were built in the late 60s and were in service until the mid-80s. 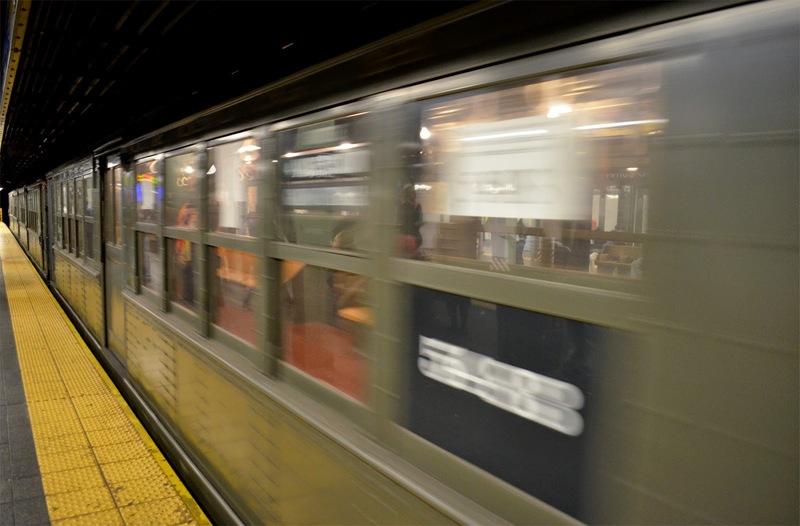 I only caught the Low-Voltage train, as I had to head into work immediately after, but it was a wonderful sight, as well as experience. The advertisements are of the age, and they even get the employees in proper dress. Visit the link provided in brackets [MTA] to catch other events they run. While the page is mostly filled with track info, or construction updates, you may sometimes find a gem like this. 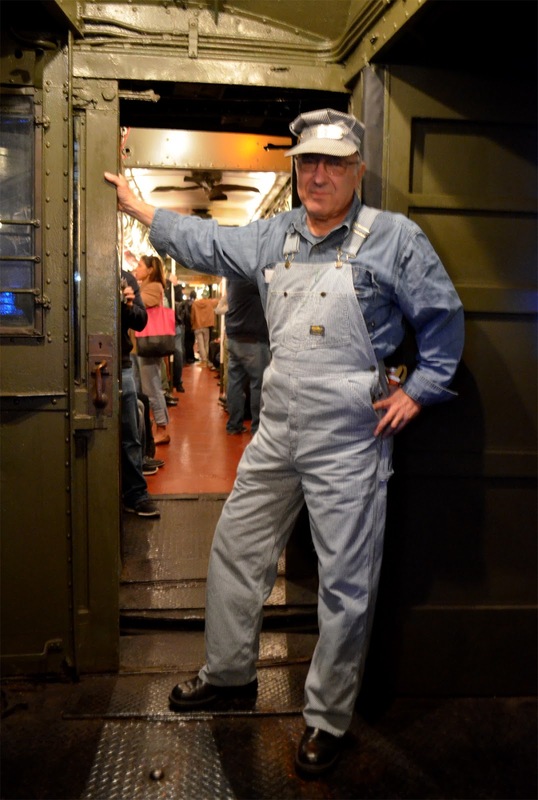 I rode one car from 1914 on the trip north, and then one from 1924 when I headed back down. 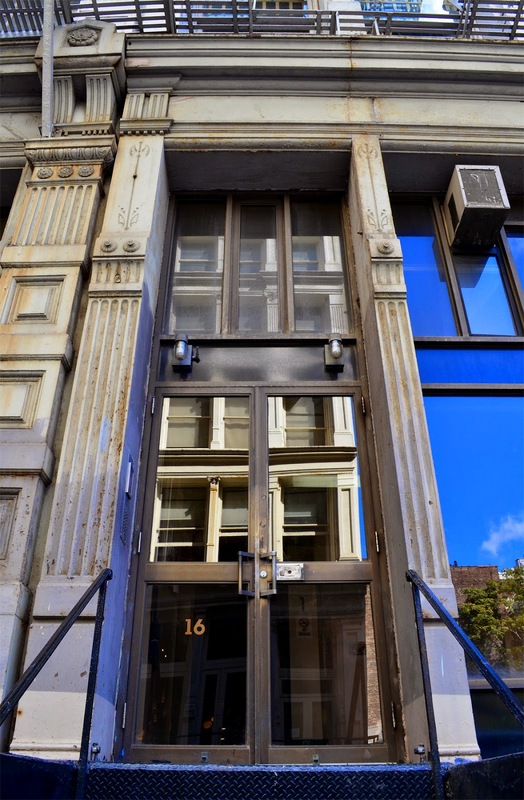 In 1966, Fluxus artist George Maciunas bought 16 Greene Street (and later 80 Wooster Street) in the SoHo District of Manhattan, then called "Hell's Hundred Acres". The lofts were renovated into living / art spaces to be shared at $1 per square foot, and the collective was soon dubbed "The Fluxhouse Cooperative". 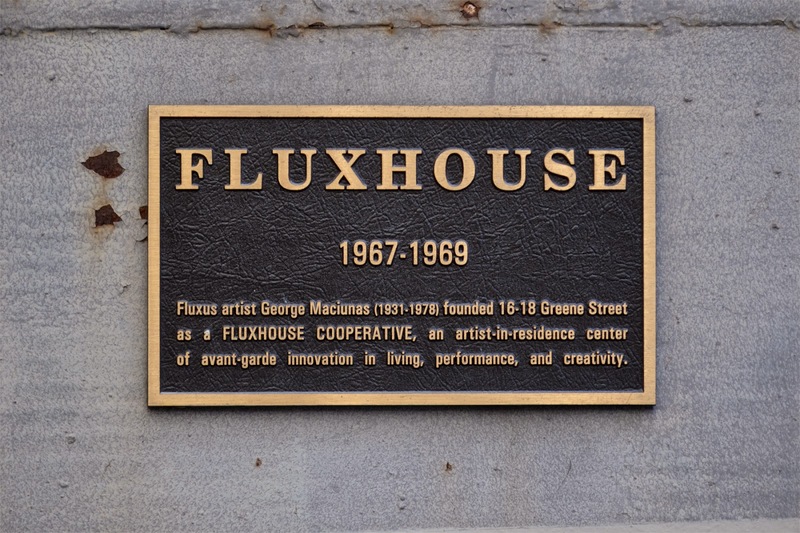 Artists of note that had once lived in Fluxhouse include Martha Moses, Bob Wiegand, and Jonas Mekas (who was supposed to open a cinema on the first floor, but never did). Maciunas had intended to, both, stop Robert Moses' plan to build the Lower Manhattan Expressway, which succeeded, as well as create what he called "Fluxcity" (a small city full of artists), which did not, because in 1975 George was accosted by loan sharks who broke his ribs and blinded him in one eye, ceasing his attempts to buy more property. In 1992, The New York Times bestowed George Maciunas with the title "the Godfather of SoHo". 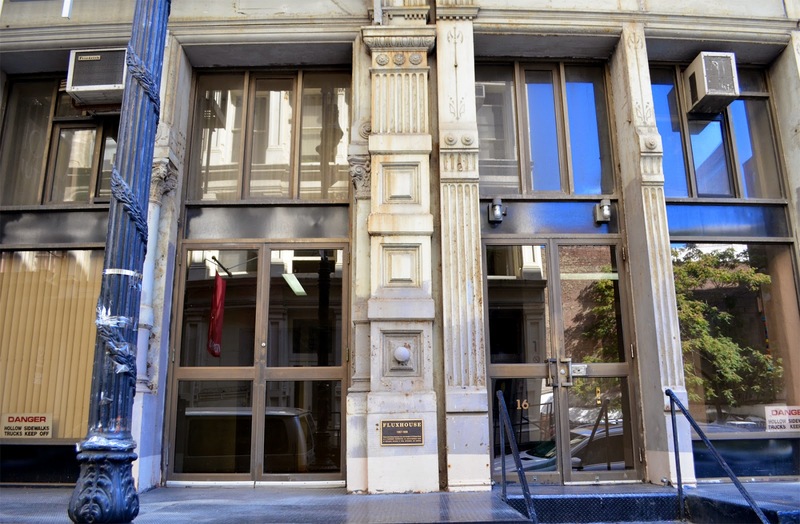 Though this is a post about a Fluxus artist, if you are still looking for something to do in the SoHo area (besides high priced shopping), head a few blocks over to check out Walter De Maria's 1977 art installation, Earth Room. Located at Dia Art Foundation on 141 Wooster Street, the work is 197 cubic meters of moist soil, in 335 square meters of floor space, which weighs in at 127,000 kilos. Though De Maria, had previously set up this installation in Munich, and Darmstadt, Germany, the only one that remains is the SoHo piece. Also in the area is Walter De Maria's lesser-known work, The Broken Kilometer, from 1979, at 393 West Broadway, and also run by Dia Art Foundation, which is one kilometer of solid brass rods, broken up into five parallel rows of 100 rods each. Normally, you'd see a picture I've taken of either room below, but I respected the Foundation's "no photo" policy. 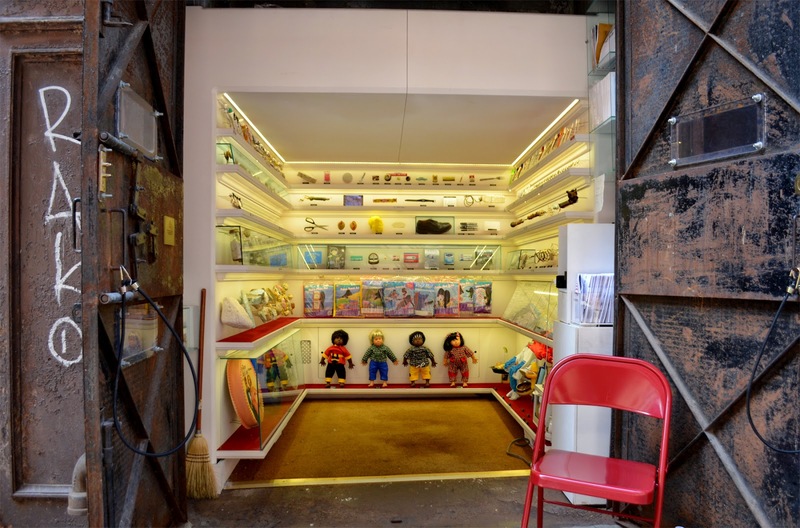 Tucked into an unused elevator shaft, in the Tribeca neighborhood of lower Manhattan, is the world's smallest museum, with the not-so-simple name of Mmuseumm. 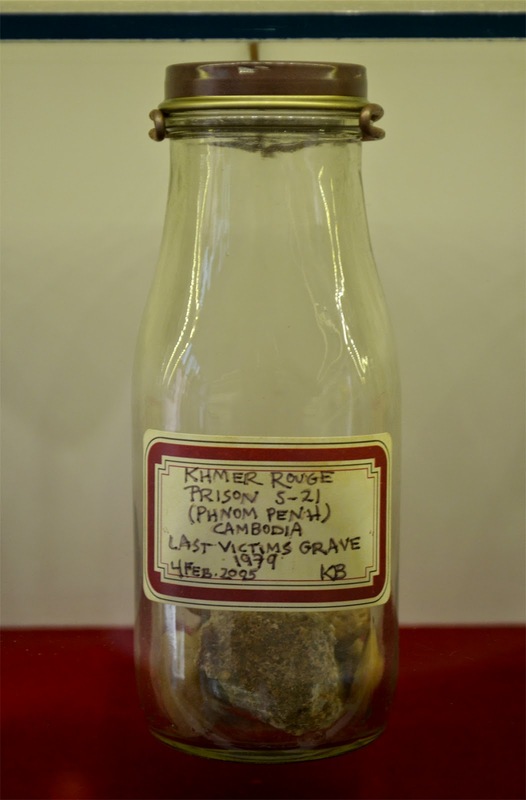 Their mission statement reads that they are "dedicated to the exploration of the proof of our existence" and "a modern natural history museum - devoted to the curation and exhibition of contemporary artifacts that illustrate the complexities of the modern world." 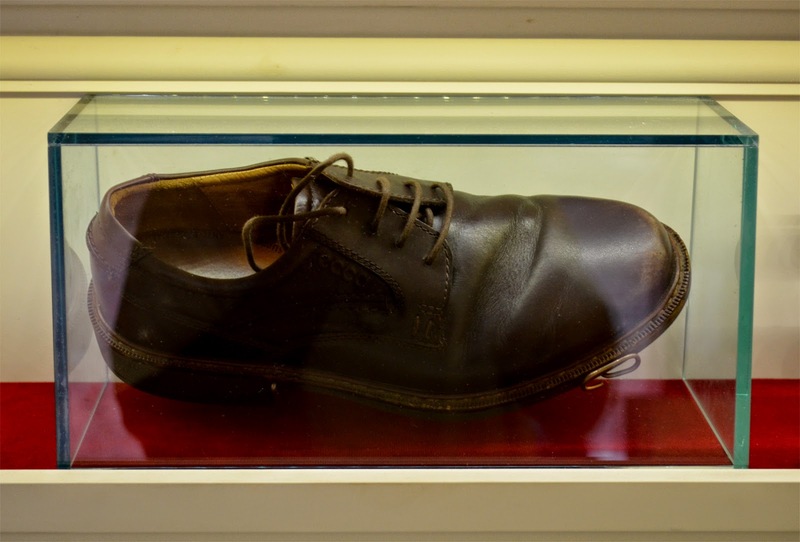 Though their exhibitions change every season (they are currently in their 3rd), there are quite a few permanent curiosities, such as their infamous showcasing of the shoe thrown at George W. Bush at a Baghdad press conference, by Iraqi Broadcast journalist Muntadhar al-Zaidi. 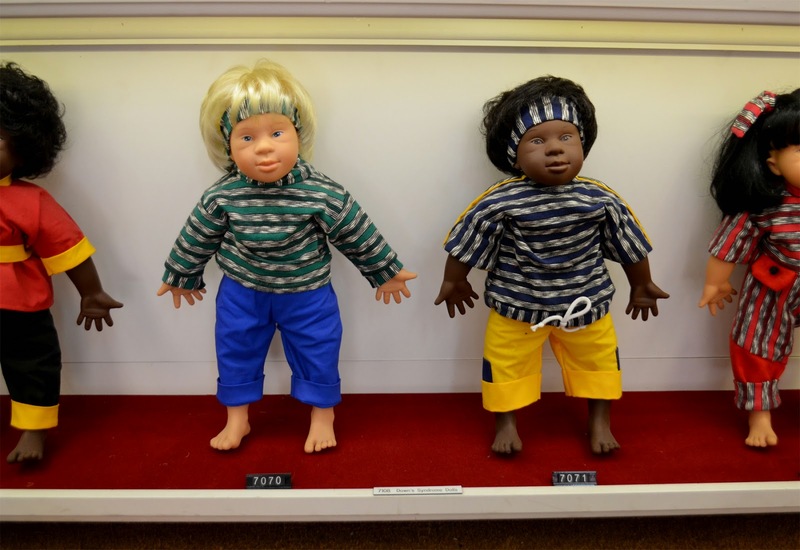 ...wierd products from around the world, many handmade oddities, and even a collection of Down Syndrome Dolls. 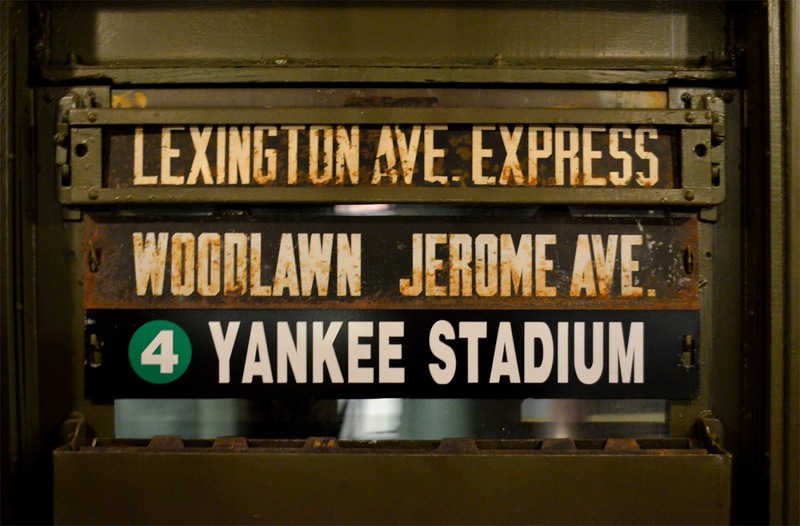 Found between White St and Franklin St (and east to west by Lafayette and Broadway, respectively), this tiny place is a must see for the curious, and hard-to-fascinate, alike. 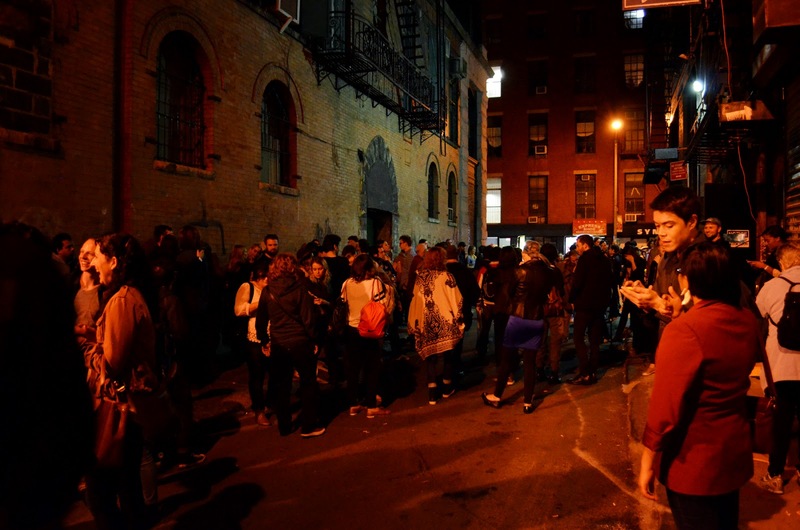 They also even hold events there every so often, such as a three night party for the 25th anniversary of David Byrne's Luaka Bop Records, this past week. 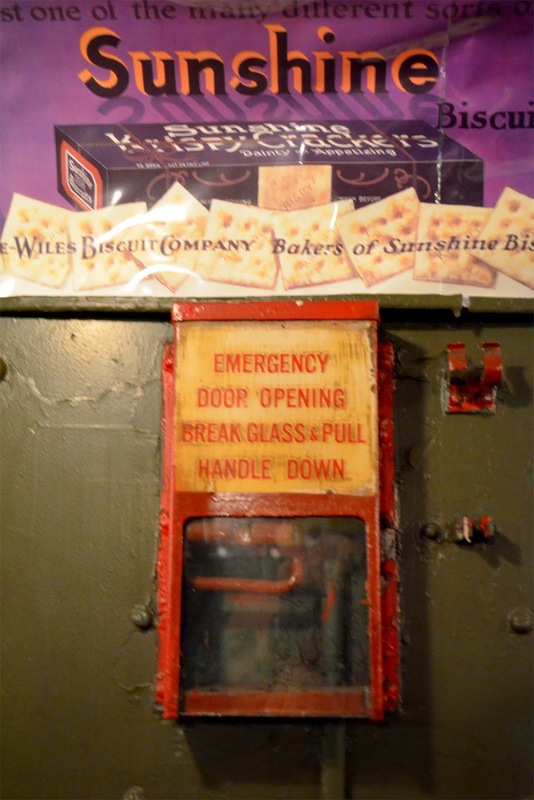 While Mmuseumm is sponsored, they are a non-profit organization, so please give generously when you visit (perhaps 50¢ for every time your jaw drops). Lastly, do keep in mind that they are open only on weekends.